Heavenly cottage in Glen Park! Perfectly preserved & thoughtfully updated, this little historian beckons the simple life! Welcoming front porch hosts the morning sun & fresh mountain air! Gleaming original hardwoods are freshly restored & look better than new! Chic bathroom w/claw foot tub! Modest, sundrenched kitchen w/built-in shelves & pantry is more than enough! New paint in & out! Celebrate the seasons in the expansive back porch where serenity & stunning views nourish your soul! Spacious patio space for peaceful outdoor living! Ample storage! The icing on the cake: a detached 900 SF garage w/loft space & all utilities! 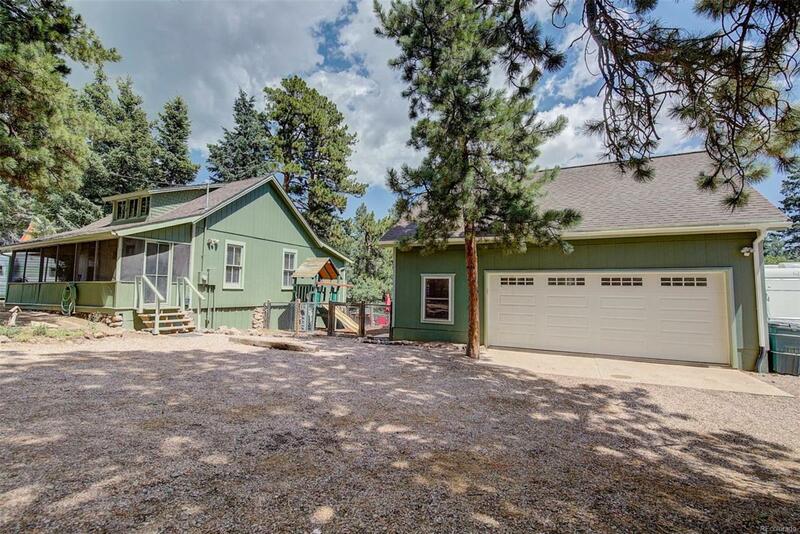 Built on a residential foundation w/2x6 construction, this is a dream garage for the mechanic or woodworker! Nice yard space for your garden & horseshoe pits! No covenants & no HOA! Miles of trails in the endless forest you will find right outside your door for hiking and biking! This is the one you have been dreaming about!